I begin with the name of Allāh, the Most Merciful, The One who bestows mercy. → Thirdly: Forbidding evil has undeniable principles. From the greatest of those principles is that evil cannot be eradicated by using means that oppose the Revelation that was sent to the Prophet Muhammad as Imām al-Bukhārī stated as a chapter heading in his Sahīh: “Knowledge precedes both speech and action.” Without knowledge of the Qur’ān and the Prophetic Tradition, a person will oppress himself and oppress others, harm himself and harm others and go beyond bounds in oppression, just like those who claim they are performing Jihād by their killing and destruction, yet in reality nothing could be further from the truth. It is not Jihād that they are engaged in, rather it is corruption of both the world and religion! 1. That evil is eradicated and is replaced with its opposite (i.e. good). 2. That evil is reduced even if it is not completely eradicated. 3. That evil is replaced with what is similar to it. 4. That evil is replaced with what is worse than it. The first two levels are legislated in religion as correct. The third level is a matter of juristic deduction (i.e. ijtihād from the scholars). The fourth level is forbidden to embark upon. So if you see sinful people gathering together for futile and vain speech, games and amusement, listening to clapping and whistling – if you know that you can turn them towards acts of obedience to Allāh, then you should do so – and if not, then it is better to leave them upon that rather than to make them turn towards that which is greater in evil. → Fourthly: Who is responsible for forbidding evil in the sight of Islām? The Salafi Shaikh Sālih al-Fawzān stated that forbidding the evil with one’s hands by preventing or punishing is for the rulers (those in authority). Forbidding evil with one’s speech is for the Muslim scholars who have knowledge, wisdom, insight and understanding. And as for hating evil with one’s heart, then that is for the general folk who have neither authority (rulership) nor knowledge. (See Fatāwa al-A’immah Fin-Nawāzil al-Mudlihimmah). 1. Have no knowledge, understanding, insight and patience. 2. They have no authority or governance. 3. They have exposed the Muslims to greater harm and more restrictions, unwarranted scrutiny and acts of mindless revenge upon the innocent. 4. They have emboldened more non-Muslim journalists and the general folk to mock and ridicule Islām, the Prophet and the believers. 5. They have set up yet another barrier to non-Muslims from learning the beauty of Islām and entering into the true religion. 6. They have created an image that Islām is a religion of confusion, anarchy and disorder. 1- They focus the youth constantly upon the political situation of the Muslim regimes and the Middle-East, and making that the centre-point of religious discussion. 2- Openly rebuking the Muslim rulers whom they regard to be tyrants, and calling for rebellion in Muslim countries, under the banner, “judgement is for Allāh” – a phrase misappropriated by the extremists, and misused. 3- Praising the heads of extremist ideologies such as Sayyid Qutb (died 1966). Qutb is revered by Jihadists all around the world from Ibn Laden and Aiman Az-Zawahīrī to Anwar Al-Awlakī and Abu Qatada. He was a prominent leader of the Egyptian group, “The Muslim Brotherhood”. His writings are widespread and translated into dozens of languages including English. The US-born Yemeni terrorist, Anwar Al-Awlakī once boasted that he was so immersed in the writings of Sayyid Qutb that he felt the presence of Qutb with him in his prison cell! 4- Extremists (Khārijites) and those under their influence are distinguished with the trait of declaring Muslims who contradict their political world-view as unbelievers. They see the Muslim rulers who commit sins or acts of tyranny to be unbelievers. The declaring of Muslims to be unbelievers is referred to in Islamic terminology as Takfīr. For this reason, the extremists are often referred to as Takfīrites. 5- Extremists in the West will quite often glorify the acts of violence perpetrated by so-called “Jihādist” groups, whether it be suicide bombings, beheading of hostages, killing of non-Muslims, etc. One does not see in their speech the condemnation of violent extremism or its figureheads. The Salafi position regarding those who incite or plan terrorist acts such as suicide bombings, kidnapping or killing is that Muslims should inform the authorities. This is regardless of whether these acts are perpetrated in Muslim or non-Muslim countries. Muslim communities must be at the forefront of stamping out these non-Islamic acts that are done falsely in the name of Islām. The Messenger (peace and blessings of Allāh be upon him) described these extremist Khārijites, explaining that they have no understanding of Islām. He said: “They will recite the Qurān but it will not go beyond their throats. They will exit the Religion just as an arrow passes swiftly through its target.” Parents too have a mighty responsibility to cultivate their children upon the true and correct Salafi understanding of Islām, so that they are not deceived by these impostors. So let us stamp out the extremists and their ideologies. 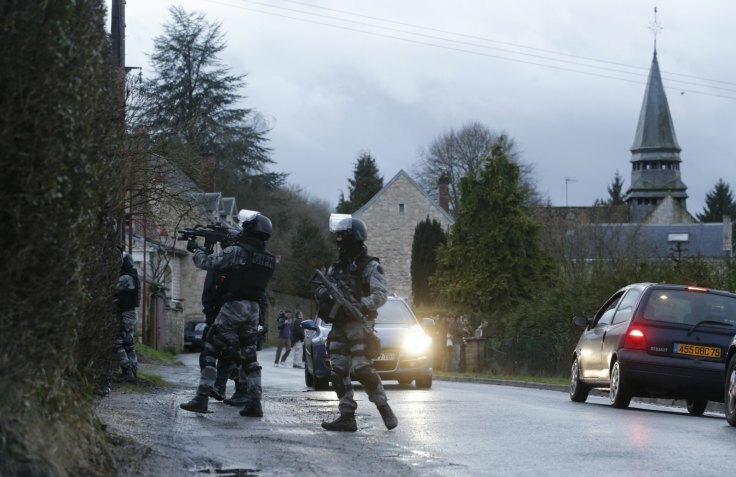 The Shaikh was informed that on Wednesday (7th January) some individuals carried out a terrorist attack claiming they were defending the honour of the Prophet (salallāhu `alaihi wassallam) – and they killed twelve people – from them were journalists and police. As a result last night several Mosques were attacked and set on fire. So the questioner asked what is the position of the Salafi with respect to these terrorist attacks? And what is your advice to the Muslims in general in France and the callers to Salafiyyah in specific? So the Shaikh began his answer by praising Allāh and sending salutations of peace and blessings of Allāh upon the Prophet. Then he said: Firstly, these acts are not from the actions of the People of Sunnah. Rather they are from the actions of the deviated ones from the Khawārij (renegade insurgents) and those who sail upon their ship, even if they ascribe themselves to Islam. Secondly you should inform your non-Muslim neighbours, the people of France, the rest of Europe and in the United States that you will not find a single scholar who is a person of Sunnah who would approve of these acts or encourage them. Rather the People of Sunnah and their scholars, and their students of knowledge and their general-folk forbid/condemn these acts of disorder and anarchy. The one who would carry out these acts is either a Khārijī (renegade insurgent) or an ignoramus who does not know the Sunnah and does not know how the People of Sunnah behave with their neighbours (and fellow countrymen) who are non-Muslims. The People of Sunnah treat their neighbours in a goodly manner and they abide by their agreements and they do not agree or approve of these acts of anarchy, disorder and savagery. In conclusion, I advise my children from amongst the Muslims, whether they be preachers from the pulpits, or teachers or callers that you free yourselves and disassociate yourselves from these barbaric acts, declaring that openly – that you convey that to those in charge of the security [of the state] to whomsoever you are able to. And I advise that all should fear Allāh and be dutiful to Him in that which pleases Him. And then the Shaikh concluded by praising Allāh, and invoking salutations of peace and blessings of Allāh upon the Messenger Muhammad, his Companions and his true followers. Source: Audio recorded with “Abou Asma Hassan” for the French Muslims. Audio is present with myself.